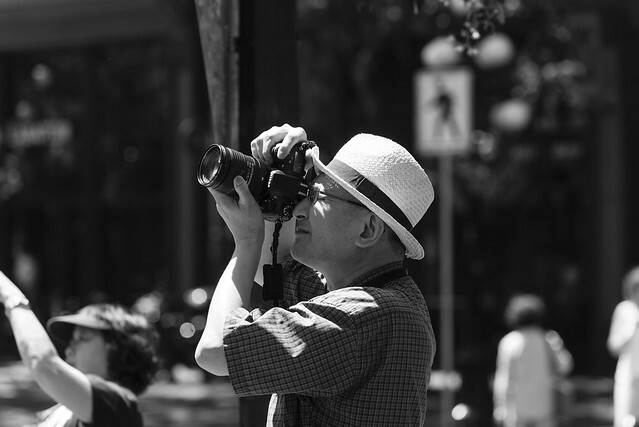 People probably think I'm a tourist when they see me walking around Vancouver with a camera. So I'm making some assumptions labelling this guy as a tourist. But since he was photographing a popular tourist attraction I feel like going out on a limb. Looks like a tourist. The hat a dead give away. People have taken me for a visiting tourist once or twice in the last decade.